This printable police badge is a great way to get kids familiar with helpers in their community, such as police officers. 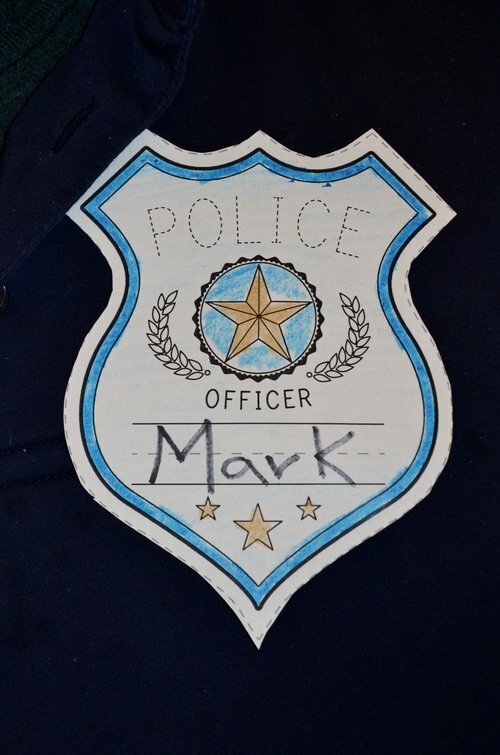 Kids will get practise writing the word "police" and their name, plus fine motor practise by coloring and cutting out the badge. Finally, they can don their new badge proudly, and engage in some role play. 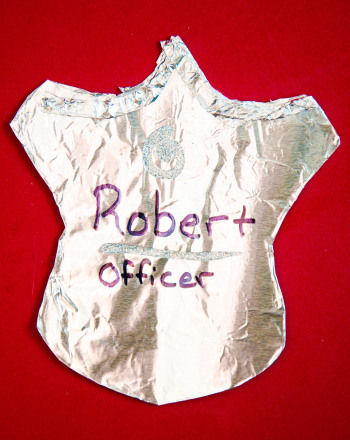 In this activity, students will learn about the meaning and information on a police badge. Then they will be able to create their own badge with their own identification. Wear a police officer hat and badge with pride to show appreciation for your local community workers on Labor Day! 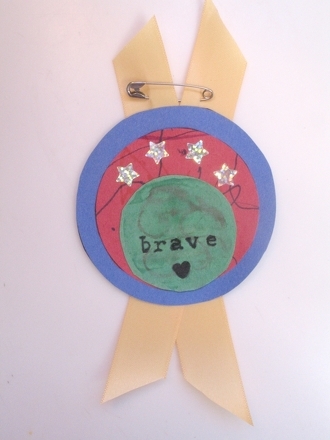 In this fun activity, kids learn how to make their own bravery badges so they can be brave anytime they want. Make your own Christmas wreath with this simple paper craft. Make your own Christmas wreath, and have your family make some too, to add colour to your home. Colour in and cut out the image of the police officer and his uniform then dress him up to make a simple and fun paper doll. 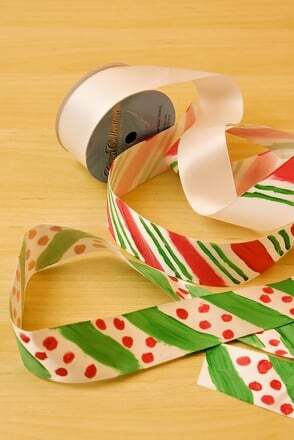 Make your own ribbon to give gifts that special touch. Enlist your preschooler or kindergartener to help create an extra special holiday ribbon this winter. Does your little one want to be a police officer? Give her this pair of police officer coloring pages to inspire her. Officers of both genders are represented. 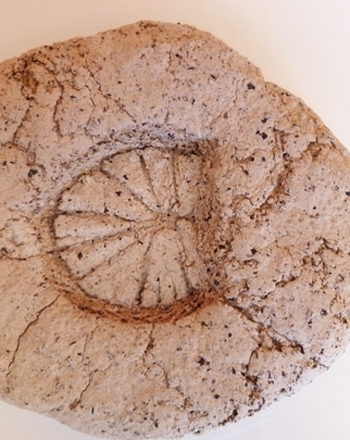 In this fun activity, kids practise measurement and boost fine motor skills as they learn all about how fossils form and even make a few of their own! Help your child learn a sense of days, weeks and months by teaching him to fill out his own calendar. Have some fun with this police hat coloring page. Would you want to be a police officer when you grow up? Spark some monstrous creativity in your kindergartener! Help her cut out the shapes and build a monster of her very own.